In 2011, Deputy Commissioner and Risk Manager of the City of Saint John, Ian Fogan and his team started a plan to construct a proactive and cost effective risk management plan for the city. 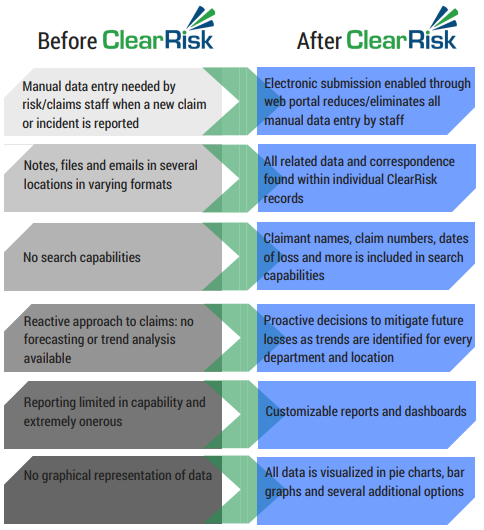 Ian recently stated, "before ClearRisk, we weren't able to determine the cost drivers and identify trends in our data. Now we can easily report on historical and current data, allowing us to better predict future occurrences and implement measures to reduce losses. In the past five years we've reduced our annual claims costs by 50%!